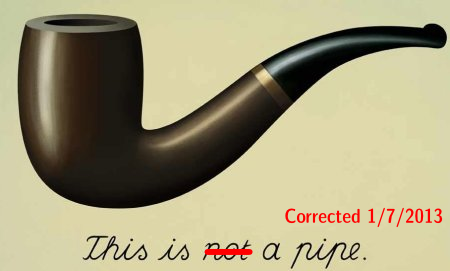 After careful consideration, the editor of this blog now believes the object depicted to be, in fact, a pipe. It ain’t no pipe, it’s a painting. tain’t no pipe, tis a painting.